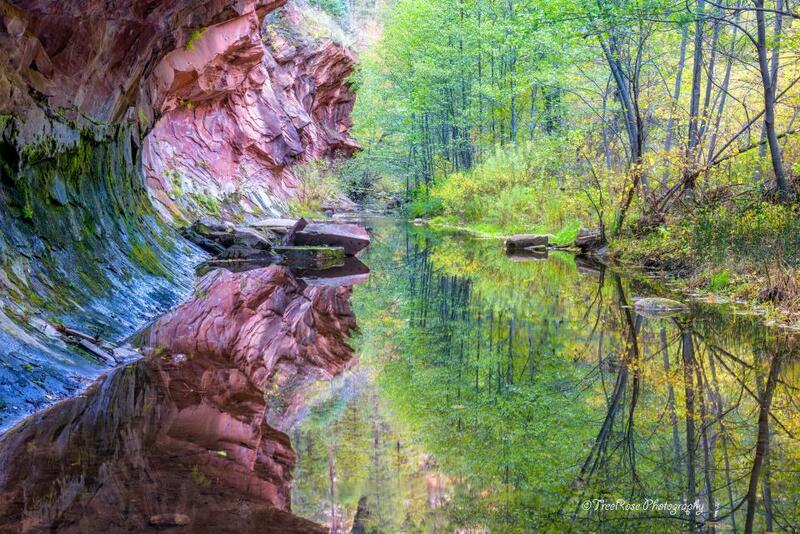 "Deep Reflections (2):" Last year, during my first trip to West Fork of Oak Creek, I came upon this scene a little bit off the beaten path. I had to revisit the location again this year and capture another image. I love the shapes, textures, and reflections here. This photo brings me peace. Thank you for sharing with us the beauty of your entrancing little hideaway. Thank you so very much, Kristina, for your kind feedback. I love to help others feel more at peace through my imagery!